Roll up to a bike event with a sidecar or a Grom, and you’re bound to get some attention. A sidecar and a Grom? You’d better like talking to people. Tyler Haynes of Industrial Moto now offers a sidecar kit ($1,600.00 to $1,920.00) for the Grom, called Project GUS. That’s “Grom Utility Sidecar” and I’m all for it. Ready for the weekend. Industrial Moto photo. The matched wheels make GUS look almost factory. Industrial Moto photo. Lights can be added to the sidecar for better visibility (and looks). Industrial Moto photo. Industrial Moto starts with their steel chassis and adds independent suspension, powdercoat in your choice of color, and a wheel that fits right in with the Grom’s factory alloys (adjustable for toe in/out). 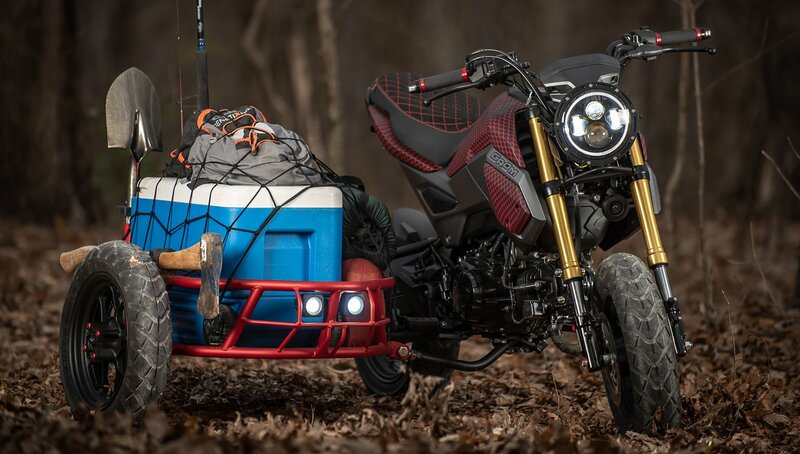 The GUS rig comes stock with D-rings, a cargo net, and clamps for packing up the essentials for your Grom expedition. Options include an LED headlight ($100) and a small passenger seat with grab rail ($220). "Hop in!" Industrial Moto photo. Does the world need a Grom sidecar? Probably n-, wait, yeah, it does. Parades, local camping, super pit bike, grocery getter, taking your kid around the yard, flying the chair with your buddies… the GUS isn’t the most practical thing out there, but it sure looks like fun. 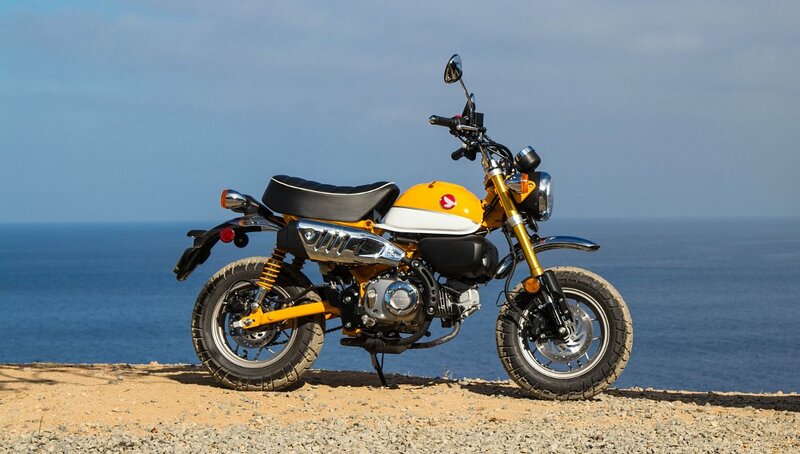 Isn’t that the whole Grom concept anyway? We’ll let you know if Stinky mounts one up.